Preface. 1. Conceptions of Suburbs. 2. The Scale and Causes of Suburban Growth. 3. The Anatomy of Suburbs. 4. Developers and Architects. 5. Post-War Change. 6. Change at the Microscale. 7. Conclusion. References. Index. J.W.R Whitehand is a Professor of Urban Geography at the University of Birmingham. 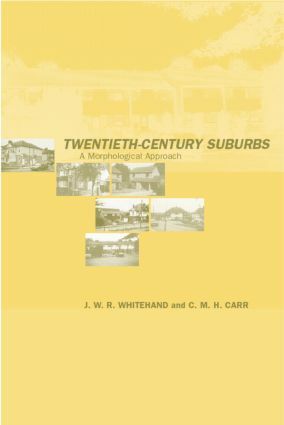 C.M.H Carr is a Lecturer in Planning at the University of Manchester.